Product prices and availability are accurate as of 2019-03-08 11:33:28 EST and are subject to change. Any price and availability information displayed on http://www.amazon.com/ at the time of purchase will apply to the purchase of this product. Celebrate your anniversary with a wedding bell as you "ring" in the new year and reminisce those gone by. 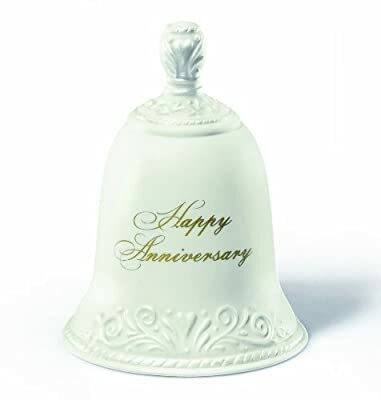 4-inch H by 3-inch made of porcelain bisque with pearlized accents and working clapper. Gift boxed.